We rent 4’x4′ sections of stage to build a custom stage for your event. Our stage sits 16″ off the ground and comes with black skirting. 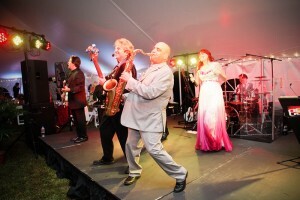 Our stage and riser options are great for bands, speakers, DJ’s Wedding parties and more. We have detailed below our most popular stage sizes. If there is a size not listed please contact us for a custom quote. *Cost do not include delivery and tax.